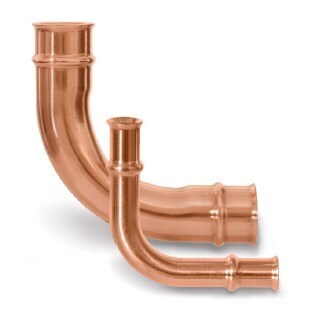 ZoomLock™ fittings are specially designed to work without brazing, which automatically makes your job simpler and faster when joining copper tubes. In addition, the one-piece fittings are reliably secure, leak-proof and more repeatable than brazed connections - so there's no compromise on quality or performance. Professionals who have tried ZoomLock™ braze-free couplings report that their time and labor costs on tube connections are typically reduced 40 - 60% on average by eliminating the need for brazing. The biggest benefit of that improved efficiency is more productivity and increased profit potential, but there are also many other exciting advantages to brazefree tube connecting.